Queen Victoria Market’s Pompous Paws business has featured in an article about Australia’s booming pet industry. Trader, Diane Charbel, was quoted in a Herald-Sun article this week which examined Australia’s estimated $8 billion p.a. pet care industry. 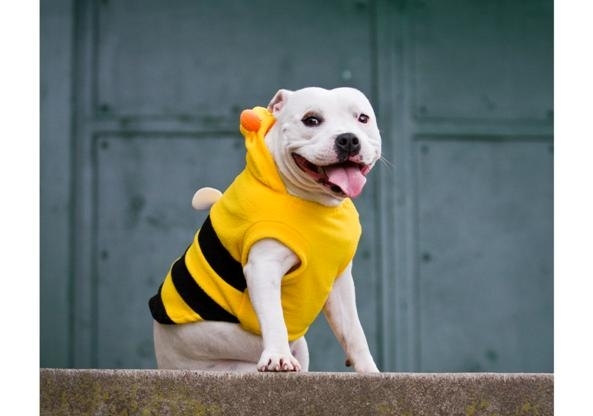 The article featured Dianne’s wonderful range of pet outfits and included photos of her pet staffies, Evie and Hugo. It is great to see well earned exposure for a QVM Trader and an excellent example for other traders looking to maximise the exposure of their business's. Our media links ran hot with the story as it showed up in the Herald-Sun and the International Business Times. 30/09/2015 11:02:48 Trader gets Herald Sun Exposure "Pompous Paws was launched at QVM in 2011. Since April 2013 I have been honored to have full spreads in the Herald Sun 3 times (all of which have promoted QVM). We have been on the morning show sunrise to do a fashion parade and also featured in city newspaper MX. All this came to pass because journalists have seen potential in Pompous Paws and approached me for a cover. This may not be the forum to express my anger but how can I let it go when I finally get recognition (here) when QVM uses my personal success to advertise itself. I love QVM, what it is and where it has taken me. But i definitely HATE telling journalists this is where I started and where I am. Why? Because newspaper coverage leaves me with a ripple of confused customers who can never find me! It damages my name more than it advertises it. In the mean time, I will continue to wait and maybe, just maybe someone from QVM will see what Pompous Paws brings to its dusty, tired market If not, then a ""Dianne, you will never get a permanent spot"" will suffice. At least I will know where I stand." Dianne Charbel. Thank you for speaking out Dianne. The importance of businesses like yours is obvious to us which is why we printed the article. Who knows? - maybe you picked the right forum to express your concerns. Good luck! - Ed. 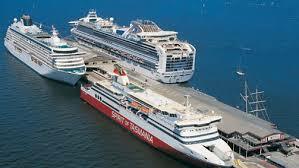 Cruise ships docking at the Port of Melbourne are a major source of visitors for QVM and a new arrangement with Carnival Australia will ensure that the market is included in their 2015/16 Shore Excursion Programme. As part of the programme, Carnival Australia will provide direct transfers from Port Melbourne to the market with free time for guests to shop. Guests will be provided with shopping bags and brochures to help navigate their way around the market. Carnival Australia represents the worlds most popular cruise brands including Carnival Cruise Line, Cunard Line, Fathom, Holland America Line, P&O Cruises, P&O Cruises World Cruising, Princess Cruises and Seabourn. Together these brands represent 80% of all ships docking at Port Melbourne throughout the 2015/16 season. Our congratulations to the QVM Marketing team for securing this important relationship with the cruise ship industry. 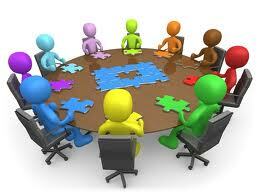 In a first for victraders.com we are listing the agenda for the QVMAC Meeting on Thursday 24th September. This is part of a campaign to broaden trader understanding of the committee’s activities. 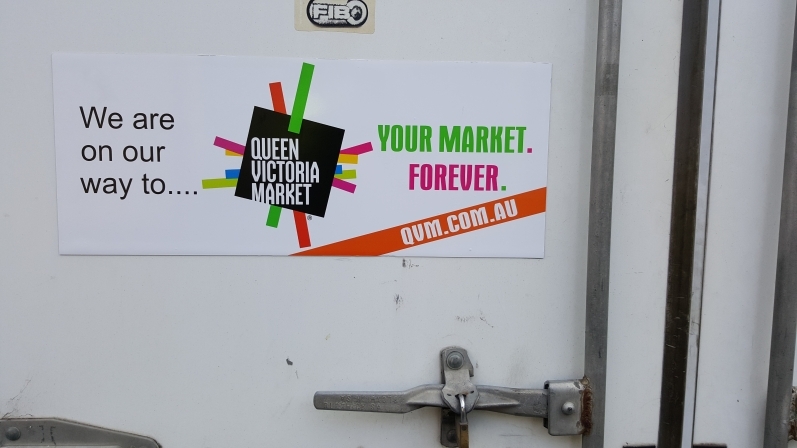 The Queen Victoria Market Advisory Committee is a body comprising 10 Trader Representatives, members of management including CEO Jan Cochrane-Harry, and in more recent times, attended by two QVM Board members. The QVMAC considers a whole range of issues relating to our market and is particularly relevant as we head into the complexities of market renewal. 3.30pm (prompt start) – 5.30pm finish. 2.1. De-Brief on Brand Launch (MB & NF) – QVM’s new logo. 2.3. Christmas Trading Hours (MB) - proposals for december 2015 particularly the clash between the Night Market and food operations leading into Christmas trading. 2.4. Friday Night Food Trucks (SF) – related to the special Stir Frydays event over October/November. 3.1. Strategic Brief Finalisation (FW) – the Strategic Brief is a 158 page document which sets the future direction for QVM. and was compiled back in February 2015. 3.2. Trading Ideas Sessions (BD) – the first of these Monday night sessions was held recently and discussed Barcelona’s public markets. 3.3. QVMAC & Trader Governance Structures (BD) – the structure and Terms of Reference for the QVMAC are under review including proposals for deeper trader involvement in the committee’s deliberations. 4.1. Meat and Fish Hall Leases – discussing the progress of lease renewals. 4.2. A-Shed and Victoria Street – concerning the recent changes to the North side of A shed. 4.3. Dairy Hall Lighting – discussing the adequacy of current lighting for special night events. 4.4. Dairy Hall – Letter of comfort – traders are seeking assurances over issues including the impact of any construction on trader activities during renewal. 4.5. 507 Elizabeth Street – tenancy status – concerns the croissant shop on the corner of Therry and Elizabeth streets. 4.6. 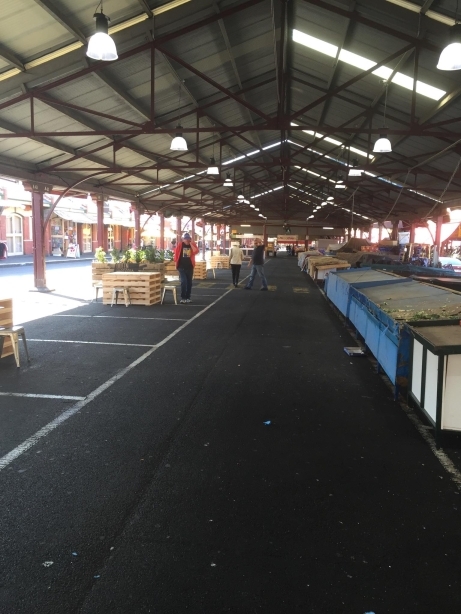 Queen Street Loading Areas – an issue raised by F Shed traders over the effect of the loading bay fences and their impact on customer flow between upper and lower market areas. 1. New Federal cabinet urged to implement Effects Test legislation. 2. ACCC investigates pop-up photography operator offering “free” photos. 3. Vitamin business, Swisse, sold to Hong Kong listed baby formula company for $1.67 billion. 4. Consumers look to smaller fruit & vegetable purchases in order to avoid waste. 5. Westfield says pureplay online retailing is not a threat. 6. Baby Bunting set to launch on stock market. 7. Senate enquiry to tackle 7-Eleven bosses over wages. 8. Australia Post incurs its first loss ($222m) in 30 years. PayPal is an alternative card service to the big banks and a number of traders have taken it up as their preferred option. PayPal don't charge monthly fees but instead opt for a 1.95% fee on the value of the sale. That is generally higher than the banks although the bank's considerable monthly charges do mean you need to do your sums to work out which is best for your business. PayPal have just introduced a Tap'n'Go card facility which narrows the comparison even further. More details here - PayPal Tap and Go. So, we have colourful planter boxes in Deli Lane, yarn bombing of street trees in Therry St., rope binding of pillars in I Shed and a colouful pop-up sign in the car park which is clearly visible to all south bound traffic in Peel St. Small things that all add up to a better look. So, we have responded and our own QVM security expert (and all round gentleman) Charlie, has agreed to have his photo taken. Thank you Charlie. 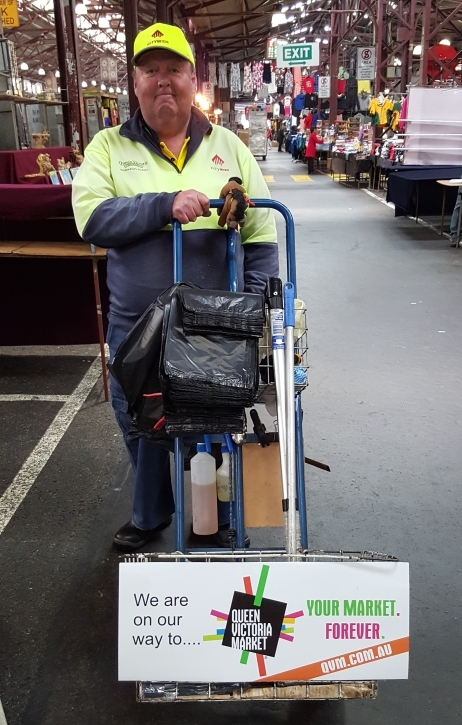 Queen Victoria market traders are a competitive lot and when one trader claims a record distance for the travels of one of their shopping bags we reckon we have potential for a bit of rivalry. This bag was seen in Vancouver at Granville Public Market. Our models were good enough to show us both sides of the bag. Rumour has it that they were travelling with Traders Stephen and Drita McLennan. Do you have photos of your logo or business name at an exotic distant location. We must have photos and we will be happy to publish for all to see. 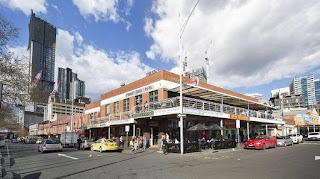 "Melbourne City Council has shortlisted five potential private sector partners to create a mixed-use development in the heart of the Queen Victoria Market precinct. At a Special Council Meeting on Tuesday night, Council voted to issue five companies with a Request for Proposal to develop of the site at the corner of Queen and Therry streets. 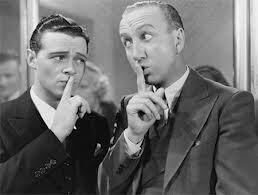 In accordance with probity advice, the identity of companies remains confidential and has not been disclosed to Council. 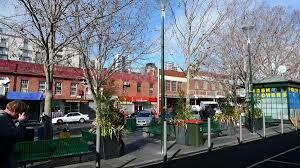 • Affordable housing in line with City of Melbourne’s Homes for People Housing Strategy 2014-18. Developers shortlisted for the Request for Proposal process will be required to submit their bid by 15 December, with a further evaluation to narrow that list to two proponents in March 2016. The final two proponents will be asked to submit a Best and Final Offer by May 2016. The City of Melbourne expects to execute a Development Agreement with the successful bidder in July 2016. The proposed development will be consistent with proposed Planning Scheme Amendment C245, which has been authorised for public exhibition by the Planning Minister. The proposed amendment is consistent with development guidelines for the site released by Council, prior to its purchase in September 2014. Consultation on proposed Planning Scheme Amendment C245 will commence next month. Shortly before Council purchased the site it released development guidelines. The proposed amendment seeks to introduce controls governing street frontage heights and setbacks to create a pedestrian friendly public realm. It would also introduce tower separation and wind and weather protection requirements and balance retention of heritage character with new development." And for those of you who haven't seen our QVM tram - here is a photo of it spotted in Swanston St.
1. Computer chip powers dress that expands when adrenaline rises and sports bra that cools- literally. 2. Analysts suggest Turnbull may boost business confidence on reputation alone. 3. Turnbull puts competition effects test back in spotlight. 4. Chapel St. experiences record vacancies – 1 in 10 shops empty. 5. Deloittes suggest retail growth will slow as Sydney/Melbourne housing market cools. 6. Briscoe’s attempted takeover of Kathmandu times out. 7. Oroton Group’s net profit falls 68%. 8. Premier Investments profits boosted by Peter Alexander and Smiggle. 9. Inditex, the worlds biggest clothing retailer, and owner of Zara, says sales up 16% in 2015 and profit over 1 billion Euros. 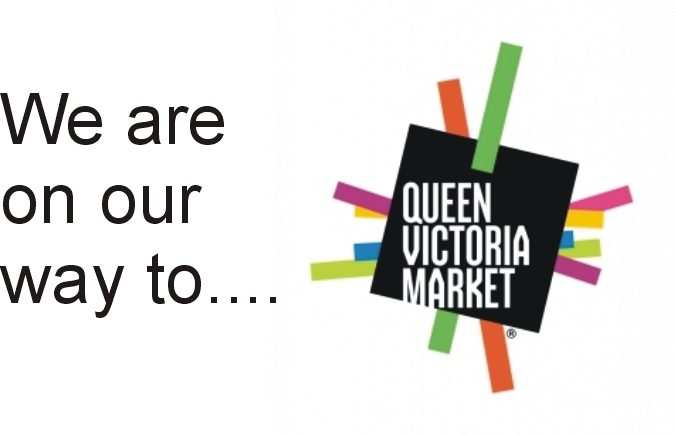 The next Queen Victoria Market Advisory Committee (QVMAC) meeting takes place on Thursday 24th September. It is time to ask what you think should be discussed. The QVMAC involves Trader Representatives from each market precinct, management representatives including the CEO, and usually two QVM Board Members. Major issues involving the market are discussed with a current focus on market renewal. What items do you believe should be talked about and progressed. Is it modifying our trading hours? What about permanent stalls? What issues are likely to improve business levels at your stall? What are the key issues for you? You can have your input by writing to us through the Have Your Say link below or by talking to your Trader Representative. Theft is a major issue for retailers across the globe. In the “bad old days” theft from QVM traders was common and the impact was particularly disastrous if it involved trader’s takings. These days, with CCTV and regular patrols by security staff the situation has significantly improved but there are still issues, and we would like to know what you think. We have published videos on this website of thieves being caught in the act and daily events involving theft suggest that maybe we can do more to control this illegal behaviour. The best preventative measure for traders is to be alert. Great customer service lets your customers (and potential thieves) know that you are watching their every move. But thieves can be a determined lot and the question has been asked whether we should have an internal notification system so that other traders can be advised of potential suspects. Traders notifying neighbouring stalls or other stalls in their category have helped catch thieves in the past. Some stalls are magnets for thieves. High value items are often a target and stalls with blockout areas are susceptible. Some stalls have distinct closed off sections which can only be viewed all together by standing in the aisle. Obviously that is not possible at all times. Thankfully, theft only appears to be a problem for a small number of traders. But what do you think? Should we have some form of notification for suspicious activity? Do you know what to do in the case of theft? Would an information session between traders and security staff be helpful? Please comment below. Hi Rosalie - Yes, you are right, this is not a photo of a QVM Security Guard. It is a generic security photo taken from the web. 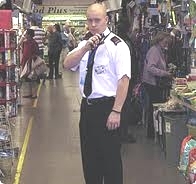 We will put a photo of a genuine QVM Security Guard on our files as soon as we can. Maybe Charlie would be willing to have his photo taken. Thanks for your input - Ed. 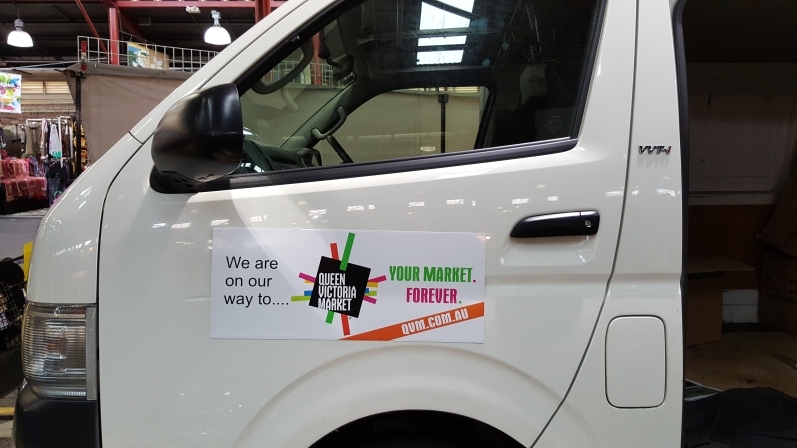 We have already written about this great idea to put magnetic signs on traders vehicles. The idea came from trader, John Magno, and has been taken to another level by trader, Raphael Kern, who had an actual sign printed. Exploring the possibilities will commence this week in discussions with management but, in the meantime, we thought we would publish some examples of how the signs could be used. While these photos were being taken we received a positive response from traders and customers. A special thank you to all the participants. Last Sunday we published a photo of an empty C Shed (top walkway to Peel St.). The emptiness caused great concern to top end traders who had grown to enjoy the vibrancy of the specialty markets introduced to this location. 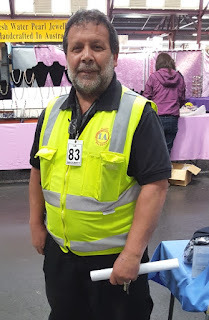 It turned out that the external trader group booked for that Sunday had cancelled at the last minute, certainly too late for QVM to organise a replacement. 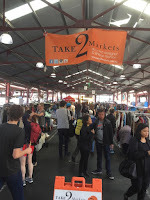 This Sunday our photo shows a good turn out in C Shed as the Take 2 Market fills the space. Happier faces all round. The same can't be said for A Shed which last Sunday sponsoured a specialty market but this week appears to be relatively empty. Our photo was taken at 10:50 this morning. 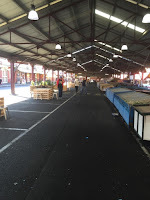 Tidying up A Shed and consolidating Fruit & Vege traders onto the South side of the shed or adjoining sheds would seem to make a lot of sense not just for those traders but also the shops along Victoria St. But an empty shed is a bad look and maybe the QVM Board and CoM need to look at making resources available to correct the situation. Trader, Raphael Kern, has had a vehicle sign made up and it looks the goods. Congratulations to Raphael for using his iniative (and his money) to have the sign printed. And congratulations to Joe Stolarek for sending a photo on to CEO, Jan Cochrane-Harry who seems keen to pursue the idea. There will be some hoops to go through to make sure we get the printing and logo correct but this idea could come to fruition quite quickly. Well done! 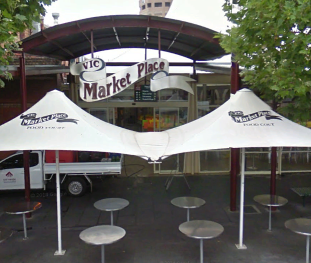 The Queen Victoria Market Pty Ltd will be holding an event on Therry Street between Queen Street and Elizabeth Street. Therry Street will be closed to traffic from 3.00pm till 11.00pm each and every Friday commencing the 9th October till the 27th November 2015, a total of 8 weeks. The street will be closed to enable us to run an event for visitors to enjoy food, drinks and entertainment. The “Stir Frydays Market Event” will run during the hours of 5.00pm till 9.00pm. 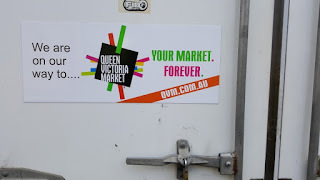 o Provide an opportunity for Queen Victoria Market traders and nearby businesses to extend their trading hours. Some low level music and entertainment performances may occur in Therry Street also during the period. Therry Street, between Queen Street and Elizabeth Street will be closed at all times for the duration of the event. The Queen Victoria Market has made provisions for deliveries of goods. This includes delivery vehicles entering Therry Street from Elizabeth Street and unloading goods. This will allow vehicles to enter Therry Street, park and turn their vehicles between Elizabeth Street and the start of the Event Zone adjacent to the Dairy Hall (end of McDonalds building). – Approximately 75 metres. This area will be under the supervision of traffic controllers and security officers throughout the entire event. Should you have any queries or require more information please don’t hesitate to contact our Operations manager Matthew Ryan on 0421 359 913 or myself on 0411 771 779. For enquires relating to the street closure you may contact Mr Stephan Cox, Street Trading Officer, City Of Melbourne on 9658 9486. 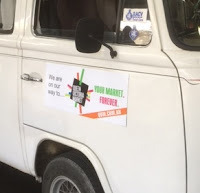 Ask most traders what needs to be done at our market and it is likely that "tourists buses" and "more advertising" will come up in the conversation. But recent experience may put a question mark over the relevance of those two ingredients. When examining what needs to be done to improve business at QVM it is human nature to look for cause and effect outside our own businesses. Traders are a pragmatic lot - we look for easy solutions, and running a small business can make that a desirable trait. But some things are inescapably complex. Take tourist buses. Many of us remember the good old days when buses rolled up at our market and off-loaded eager shoppers. Things have changed. For a start, shoppers are more discerning, apparently less impulsive about spending their dollars, and certainly less eager. Last weekend we had one of the biggest tourist bus events in recent times when thousands of Adelaide Crows supporters descended on our market. One customer said she was a club convener and had personally organised 5 buses to drop passengers off at the market. Did we experience a blip in our business over that weekend? What about advertising? 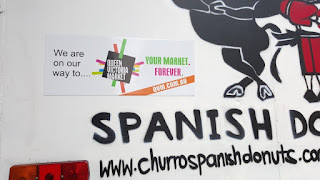 If the answer to attracting customers is simply to spend more on advertising, why didn't the $180,000 spent marketing our new logo (that excludes the cost of the logo itself) cause a blip in our takings? 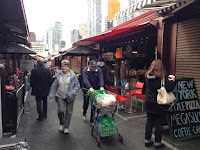 That happened around the same time as the tourist bus influx and at the same time as the Market Week promotions involving all key Melbourne markets. But no blip (at least not in the top end). The truth is that the answer to a profitable market lies in many factors. Advertising, and tourist buses are part of the mix as are trading hours, customer convenience, product relevance, product quality, excellence, vibrancy, entertainment - and the list goes on. I guess the point of this article is that there are no easy fixes. There are a whole range of things that need to be addressed at QVM. 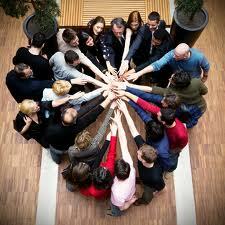 Some things need to be done by traders, some by management, and we need to work on each of them with equal diligence. The sum of all our efforts will produce a better market. The E Shed/ F Shed Food Court project has been put on hold. Management have advised that the amount of work required to deal with the relocation of traders and the installation of new traders in a re-vamped precinct will require greater resources than are currently available. A high degree of trader resistance has been a significant factor and other projects need management resources at this time. Traders who did not wish to move from E Shed will be pleased with a temporary reprieve. Traders who were looking forward to a re-vitalising of this precinct will no doubt be disappointed. The situation will be reviewed again in January and, in the meantime, the improvements to F-Shed (involving allocation of vacant shops; providing some colour and identity in the form of painting and bunting) will proceed. 1. Specialty Retail Group reports $4.5m loss following disappointing Rivers performance. 2. Pacific Brands posts full year loss despite strong sales in Bonds brand. 3. Mountain Designs launches clothing made from coffee grounds. 4. Aldi cops RSPCA complaints over caged bird egg sales. 5. Westfield continues its $2.5b global development plans. 6. Accent shoe group (Skechers, Platypus, Vans) report 30% sales growth. 7. Kathmandu cuts head office jobs. 8. Economic conditions the single biggest threat for retailers according to American Express. 9. Ralph Lauren launches techno shirt range. 10. Retail Food Group (Donut King, Gloria Jean’s) lifts profit by 50%. 11. Fantastic Furniture reports record sales. 12. 7-Eleven under scrutiny over pay rates. 13. Harvey Norman profit up on back of property market and franchise operations. 14. Cash Converters profit hit by $23m interest settlement with customers. 15. Uniglo to open two stores in Queensland. 16. NAB says online sales dropped 1.4% in July. 17. H&M plans one of its largest global stores in Pitt St. Sydney. 18. Ex ACCC Chair, Professor Alan Fels, to chair 7-Eleven wage enquiry. 19. Kathmandu falls out of top 200 ASX listing. 20. Visa fined $18m for anti-competitive behaviour for preventing rival currency conversion facility. 21. SPC welcomes dumping finding on two Italian tomato canners. 22. Potatoes surge in popularity with consumers. 23. Tesco sells South Korean identity, Homeplus. 24. Aldi posts double digit sales growth across most vegetable groups. 25. Online wine retailer, Vinomofo, offers dinner delivery service. 26. Target unveils new store concept at Chadstone. 27. Macy’s to close 35-40 under-performing stores (nearly 5% of its network). 28. Quicksilver set to file for bankruptcy. 29. Target looks to promote size 16 mannequins. 30. Rivers closes 3 warehouses. 31. Woolworths South Africa (David Jones, Country Road) appoints ex Westpac CEO, Gail Kelly, to board. 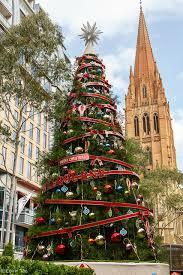 "The City of Melbourne offers an enchanting Christmas experience with an extensive festive themed decoration, projection and activation program. 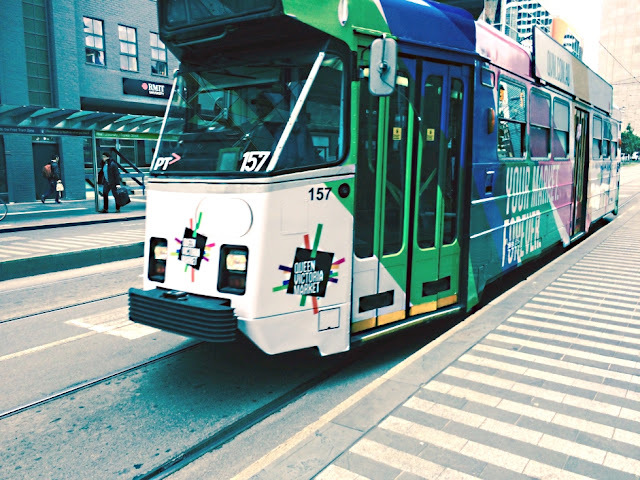 Alongside this unique experiential offering, the Christmas marketing campaign will attract and draw people into the city as the best place to shop, dine and enjoy Christmas activities in Melbourne. But we need your help to inspire consumers! We want to find out about your products, promotions and events that are exclusive to the City of Melbourne during this period." Go to this link to fill out the form - CoM Christmas Shopping Promotion. C Shed Empty ..... a number of traders have been critical about the lack of a special market in the top end of C Shed this Sunday. C Shed markets have generally added to the vibrancy of this area over recent months and to see it empty was a major disappointment. We can reveal that the special market intended for this weekend pulled out around 2 weeks ago and left insufficient time for QVM event organisers to find a replacement. The C Shed stalls were put back on the casual allocation list for the day. The special market in A Shed on the same day had been planned well in advance and was not shifted from C Shed. The good news is that Sunday markets in C Shed are booked out for the rest of the year and into 2016. A Disaster ..... on one of the quietest trading weeks in recent months, what was the top selling item on Greg Smith’s boat stall? You guessed it.... “Titanic” replicas. Overheard On One of The Adelaide Buses................apparently one of the buses bringing Adelaide Crows fans over for the AFL final yesterday discussed the QVM drop off and suggested that fans should make sure they kept some spending money for the subsequent return trips to Melbourne as their team progressed through the finals. That might explain why thousands of Crows visitors seemed to have little impact on business over the weekend. A Shed Gets Cleaned Up - What's Next? Plans to clean up QVM's A Shed precinct have been welcomed by most but the task now becomes how to add vibrancy to a neglected area of the market. Our photo shows the newly created "mall area" on the North side of A shed where parked vehicles, rubbish piles and general mayhem used to reside. 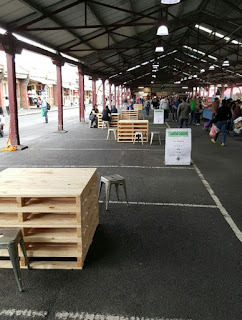 The north side of A shed used to be an operating Fruit & Vege aisle with pallets, vehicles and discarded rubbish. Unfortunately A Shed backed on to the shops on Victoria St. and was also used as a public thoroughfare for customers either visiting the Victoria St. shops or transiting to the bottom end of the market. The clash of Fruit & Vege operations and public transit brought many problems not the least of which involved health and safety. Traders on the north side of A Shed have now been moved over to the south side of the shed or into adjoining sheds where "back of house" facilities can be separated from public areas. That is all good, but it means we now have a sizeable area of the market that needs to be re-invigorated. We understand that plans include special market activities and an enhanced food offer involving existing traders. Getting A shed right is going to take time. In the context of 15 or so years of neglect, these first moves over the last few months are setting a good platform for adjusting to changing retail demand and enhancing an important part of our market. As with all projects of this type, we urge the QVM Board and City of Melbourne to make adequate resources available to the management team to ensure a good result. Plans to re-invigorate the top end of QVM included mention of "Yarn Bombing" and we must admit that this was a term we had not come across before. The term was used in reference to plans for the opening up of A Shed, a proposed E/F Shed Food Court and general enhancement of the precinct from the Victoria St. shops to F Shed. Well, it turns out that Yarn Bombing is a type of street art or graffiti and it has a Wikipedia entry - Yarn bombing, yarnbombing, yarn storming, guerrilla knitting, kniffiti, urban knitting or graffiti knitting is a type of graffiti or street art that employs colourful displays ofknitted or crocheted yarn or fibre rather than paint or chalk. 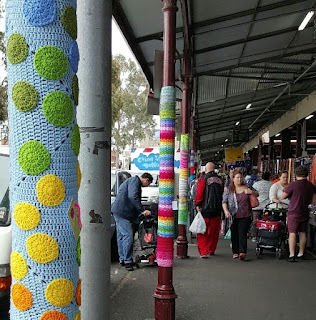 You will find "Yarn Bombing" on the posts along Peel St. Brightening up parts of our market is most welcome and we can't help but feel that anything called "guerilla knitting" has a place amongst QVM Traders. 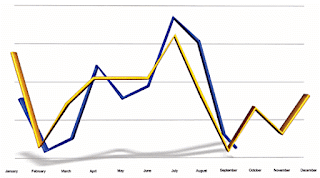 September is one of the quieter months on the QVM trading calendar. Sales figures recorded over recent years in the top end put September sales on a similar footing to the notoriously quiet month of February (see graph). In a month that usually includes the AFL Grand Final and the Market Week promotion it is difficult to understand why September is comparatively quiet. This year of course we also had the $180,000 marketing promotion around the new QVM logo but even the intensity of that campaign seems to have reflected little in sales so far. International tourism is historically lower in September with only May and June recording lower numbers of tourists visiting our shores. Of course, it is too early to write off September just yet. We are not half way through the month and school holidays are yet to come. Maybe the month that heralds spring is a good time to do what plants do – look to regenerate for the year to come. The new QVM logo has been launched through various media outlets including the electronic billboard at the Emporium Building in the CBD. The video is taken from the northern end of the building and the still shot from the billboard at the southern end. Much of the retail revolution concentrates on the influence of digital connections but the shift in the role of food is forcing many retail planners to reassess their food offer and adjust their product mix to suit social connections as well. As traditional bricks'n'mortar retailers either succumb to new retailing expectations or adjust their footprint (usually down-sizing) the gap is being filled by food operators. And this is not just retail managers seeking to fill gaps in their tenancy list - it is demand driven. 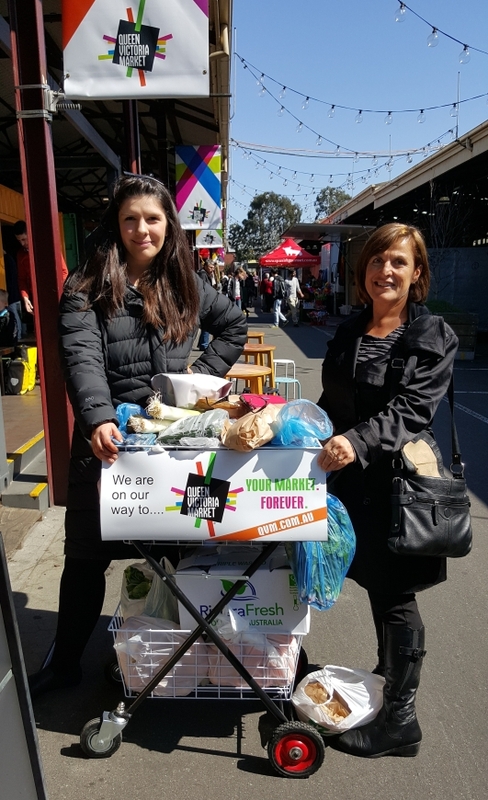 As one QVM trader lamented this week -"Shoppers who used to buy an item of clothing or a fashion accessory off me are now spending their spare cash on casual food". Casual food is more likely to be the coffee & croissant type event rather than traditional fast food and it has a strong social element. The strength of food is hardly hidden as cafe & restaurant categories consistently show growth in retail sales while other categories falter. Our own Night Market is a successful retail operation with a very strong food bias. It is about getting out, socialising, and having fun. And many retail planners have decided it is an essential element of any shopping destination. The UK's Intu Properties group owns some of the UK's biggest and best shopping centres and it has worked out that getting customers to dwell just one extra minute in their centres can add over A$100m to annual sales. Food is important in achieving that extra dwell time - “Shopping centres are no longer just big shopping areas with a food court attached — it’s an all-singing-and-dancing destination with shops, restaurants, activities and events. 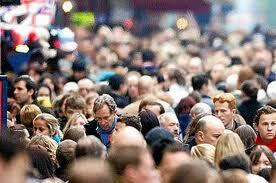 Shopping hours have also changed and consumers act differently". Intu has seen strong growth in their food outlets over the last few years growing from 340 to over 3,000. Getting customers to dwell in the top end of QVM could have benefits for all its traders. We are not a shopping centre but like every retail outlet on the globe we are experiencing the massive shift in consumer attitudes and practices. And the casual food offer is undeniably an important ingredient. Creating a viable food court in the top end will likely add to the attractiveness of the destination for consumers and increase their dwell time (and spending). Customers often complain about having to walk up endless aisles to do their shopping in the top end which is why creating a dwell space to break up their trip makes so much sense. A number of traders have talked about the difficulties of weather exposure for a Food Court at the top end of E/F Sheds, but we are an open air market, and if the following paragraph from the website of architectural firm, i2C, is a guide, then it could be to our advantage - "Gone are the days of just grabbing a burger and some chips as you rush through the retail precinct. People expect more than just a food court hidden somewhere within the mall with cramped seating and the smell of grease. They want somewhere to meet with friends, take a break, re-energise and maybe get their kids out of their hair while they enjoy a gourmet sandwich and a coffee. Food precincts offer the unique experience of quick, convenient and casual dining with quality design, fresh air, sunshine and a relaxing environment— a little oasis ......."
Broadsheet is an online magazine featuring cafes, bars, restaurants, shops, and galleries. In a recent article The Guardian asked "Is this the most powerful magazine in Australia?" Well, we hope it is because QVM have purchased marketing on the Broadsheet website and, as you will see from our video, it is full on. We suggest you go to that website for a first hand view. The vibrancy of our new logo really stands out and the colour variations are quite dynamic. It is a small point, but note that the colours are consistent with other media including the panels on our car park wall which is all part of a well thought through marketing campaign. We expect to have more detail on the overall marketing campaign over coming days.